What were you doing 15 years ago on 9/11? What do you remember? How should we remember that day, given the momentous impact the event had on the direction of U.S. foreign policy and global politics? I woke up in my Adams Morgan basement room in the house where I was living to the sound on the radio of a hip hop station. Suddenly, they broke into news about the attack of the first plane on the World Trade Center. And, given that this station’s morning programming was kind of joke-y programming, I was at first incredulous. I think I soon after turned on the TV and then woke up one of my roommates. 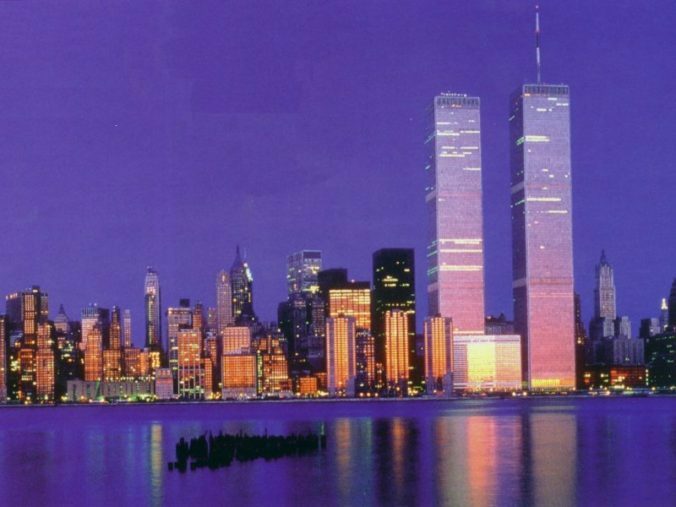 I don’t have specific memories of watching the towers fall. I have a faint sense that I was watching television when the second plane crashed into tower two, which confirmed that this wasn’t some kind of accident. Even after I’d heard about the attack on the Pentagon, I don’t think the gravity of the events really sunk in. I was still in graduate school, and I was getting ready for the 2pm class I had at Georgetown with John Ikenberry on the Logic of the West. For some reason, I thought classes would go on that afternoon, and I got ready to ride my my bike to campus, which I think I did. Classes of course were cancelled. Even with the Pentagon attack, I’m not sure if I had a specific sense of vulnerability in DC. It was only with the later shootings by the DC sniper and the anthrax attacks when there was more of a pervasive sense of wider insecurity. We learned that Leslie Whittington, a Georgetown professor and her family including young children, were on board the Pentagon plane, and I’m always haunted about what their final moments must have been like. It’s amazing (and not in a good way) now to think of the events that day ushered in, not simply the response in Afghanistan but the wider policy shift to unseat Saddam Hussein. Those were more innocent days, before Iraq, Abu Ghraib, when national unity was possible, and we could rally around a common feeling of vulnerability. It’s hard to imagine now something either positive or negative these days that could bring us together, but I hope my son’s memories of epochal events in his life are happier than this memory of mine. I also associate other losses with 9/11. In December 2001, one of my favorite IR professors, Joseph Lepgold, died tragically along with his family in a hotel fire in France. He was a brilliant guy, very encouraging, and he nurtured my meager talents and made me believe I could make it in the academy.